Take a look where it all begins, with the dedicated people who grow our food. “As a small grower there was no place to sell my crops,” Arthur Ayala says. He’s talking about his California before Coke Farm. Three decades ago, as a grower with expertise but a modestly sized plot of land, Arthur didn’t have access to a marketplace to sustain his livelihood. 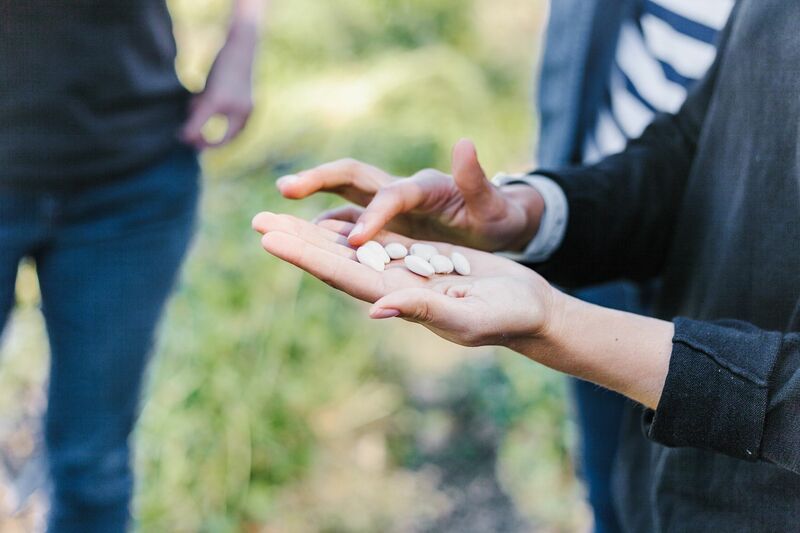 Then he met Christine Coke, who, along with her husband Dale Coke, was building the vision of an equitable organic farm that would advocate for growers. Christine recognized and saw the value that Arthur’s expertise as a farmer could bring to the still nascent Coke Farm and hired him in 1995. 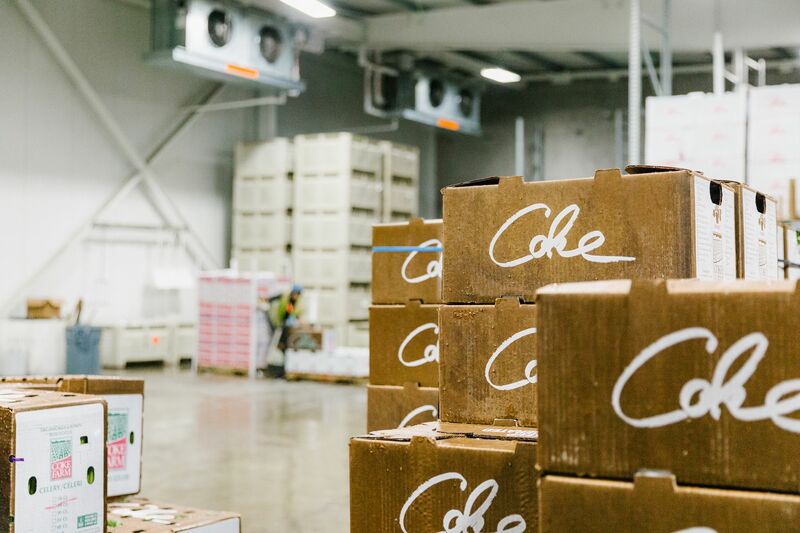 Now, 23 years later, Coke Farm is an influential and prolific wellspring of organic vegetables and fruit in California. 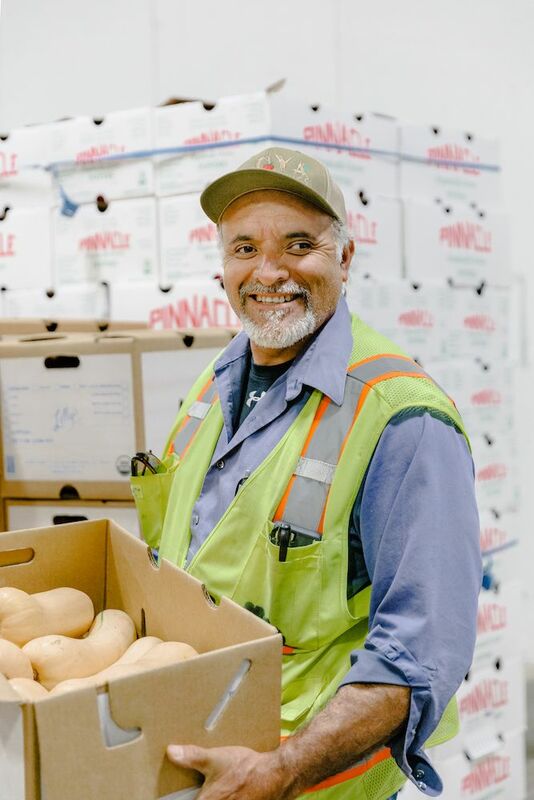 Arthur is its farm manager and even as he handles the cultivation of thousands of pounds of produce a day, he has never stopped being an advocate for Coke’s growers, farmers, and makers. Alongside Arthur is Angela Griggs, sales manager at Coke Farm. She fulfills the company mission by expanding Coke Farm into a food hub for smaller growers to be able to sell their products to the greater market at a fair price. 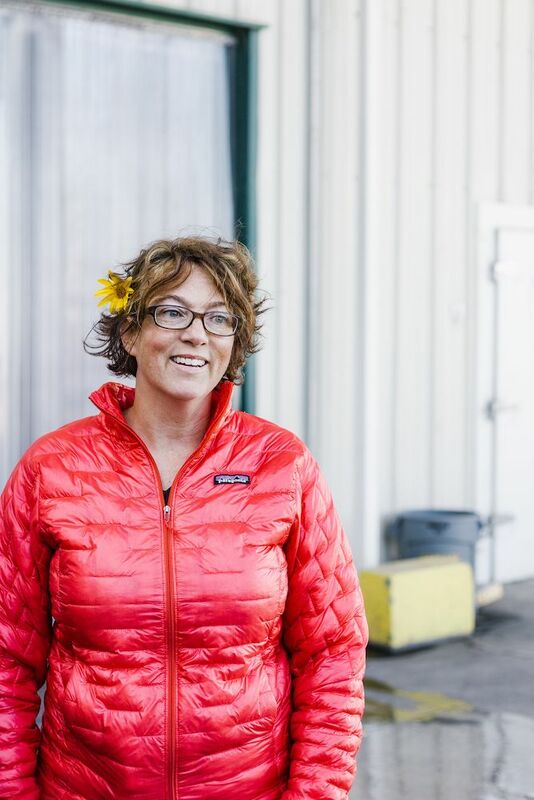 In doing so, Angela leverages Coke’s considerable resources: marketing, sales connections, packing and cooling facilities, all in service of the community of growers she and Arthur hope to create. Another way Coke provides workers with year-round job stability, the kind of stability that allows families to not be uprooted at the whims of a crop’s harvest cycle, is through the planting of versatile, robust, year-round crops: dark greens like kale and chard, rich roots like beet and sunchoke, and sweet gourds like Kabocha and Red Kuri squash. Sourcing from Coke is a delicious way to support an organization striving to set the standard for the fair treatment of growers and workers. The quality of the ingredients reflect the moral care that Angela and Arthur put into their work. Harvesting a tall, delicate yellow sunchoke flower reveals the pale beige roots hidden below and with shake, Angela sends a deluge of sunchokes falling to the ground. At the warehouse, Arthur heaves a ripe bag of beets to show us their rich red color, which will deepen and caramelize after roasting to unveil a beguiling earthy sweetness. Coke Farm has long been an unsuspecting architect of the California culinary zeitgeist. As a fully organic farm, it was where Dale Coke pioneered organic strawberry farming in the 1970s. It provided seasonal strawberries, snow peas and squash to Alice Water’s world-renowned thesis on Californian fraîche, Chez Panisse. A favorite of local chefs, it experimented with the specialty baby lettuce that was abundantly leftover from harvest and created the chef friendly and now ubiquitous “spring mix.” It helped popularize frisée and escarole, basically lettuce-for-millenials. 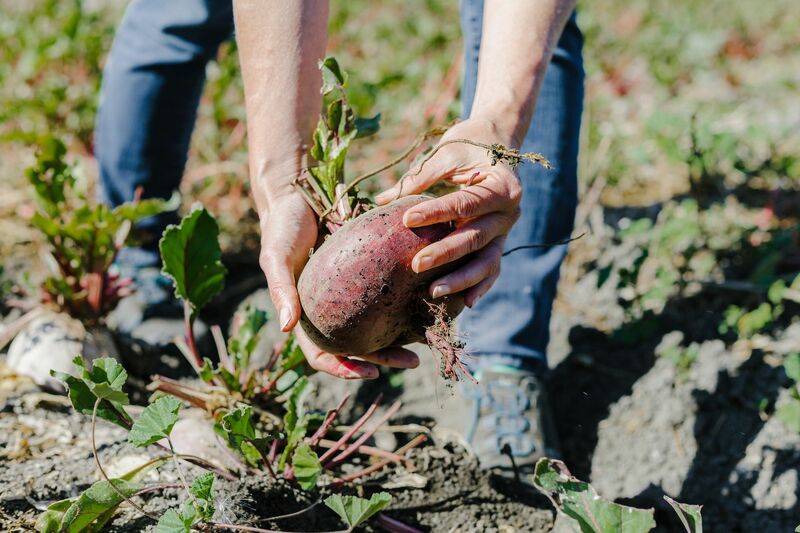 And all along the journey, Coke Farm filled the need for organic, high quality produce at farmers markets and natural food stores, receiving its California Certified Organic Farmers (CCOF) credentials before the concept of “organic” even began to bloom into the public ethos. 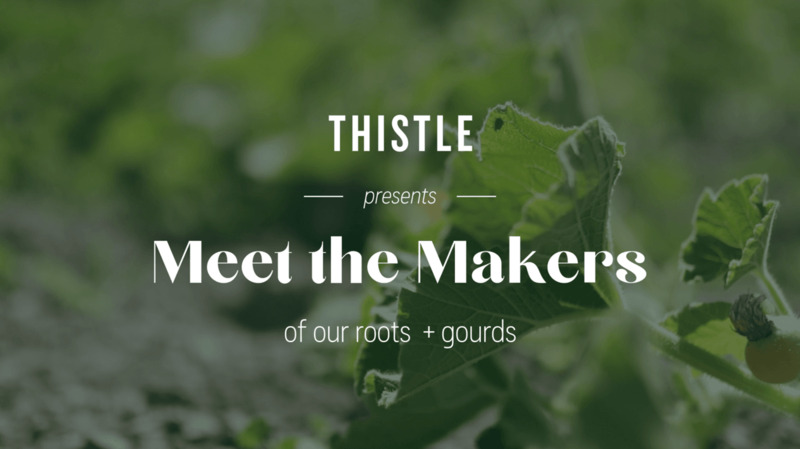 Here at Thistle, we source locally and organically when possible. You’ll find Coke Farm produce in our dishes throughout the year. Check out our menu to see what’s coming up this week.